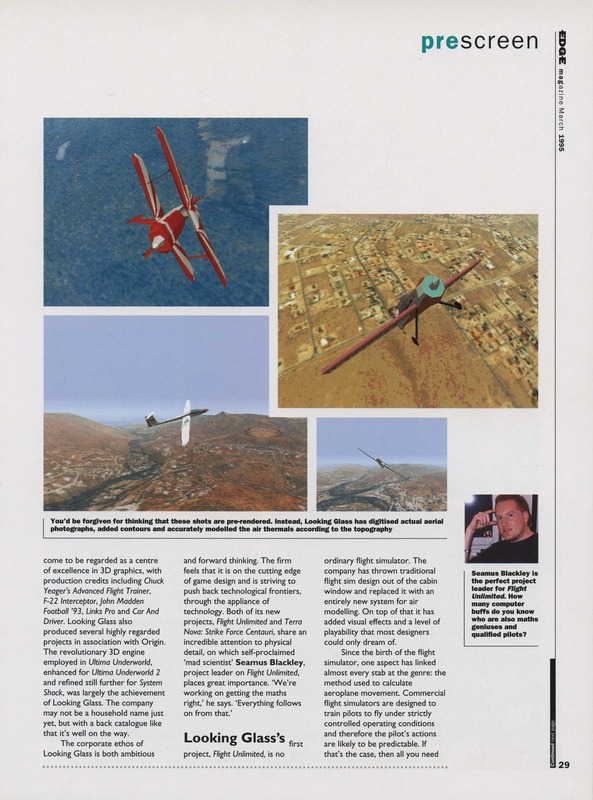 This is a combined preview of Terra Nova / Flight Unlimited together with a history of Looking Glass, taken from the March 1995 Edge Magazine. 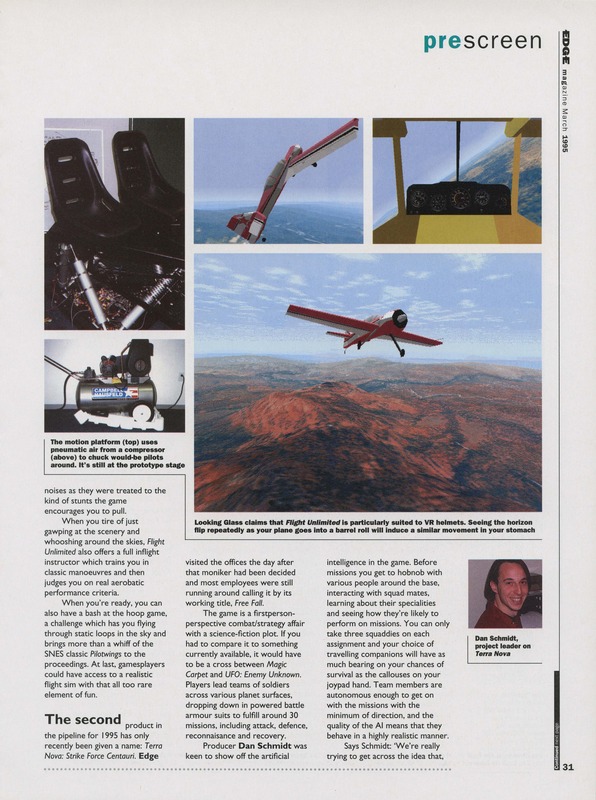 Flight Unlimited isn’t a game that has appeared on this blog as of yet, although it’s more likely to be making an appearance than previously thanks to its VR support. 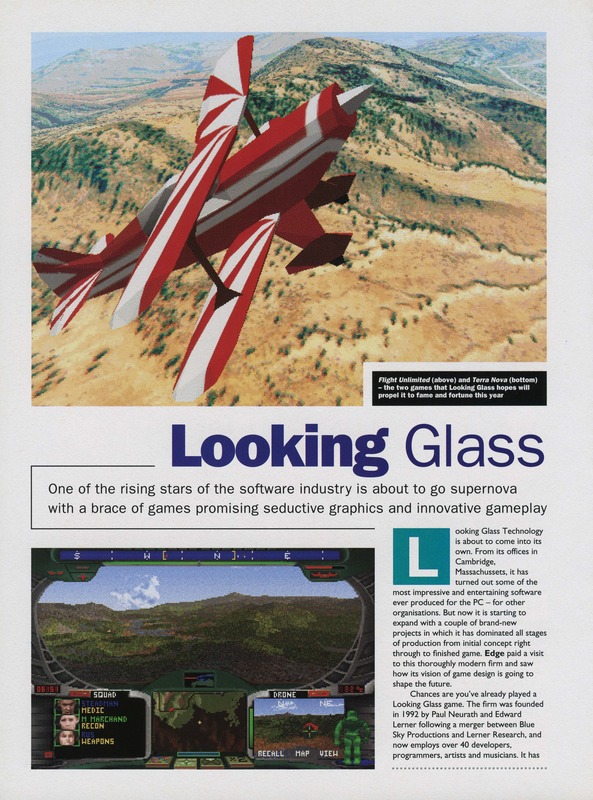 This was about the height of the VR-boom if there was such a thing with Looking Glass being one of the major players. Along these lines, it mentions on the last page that they were working on a $3500 “motion platform”. There is a photo of the prototype which looks like a couple of chairs attached to some beefy hydraulics. I’m assuming this was never released but it must have been quite the experience in Flight Unlimited when combined with a VR headset. At that price it would need to have been. The other points of interest in the article for me are on the technology behind Terra Nova. 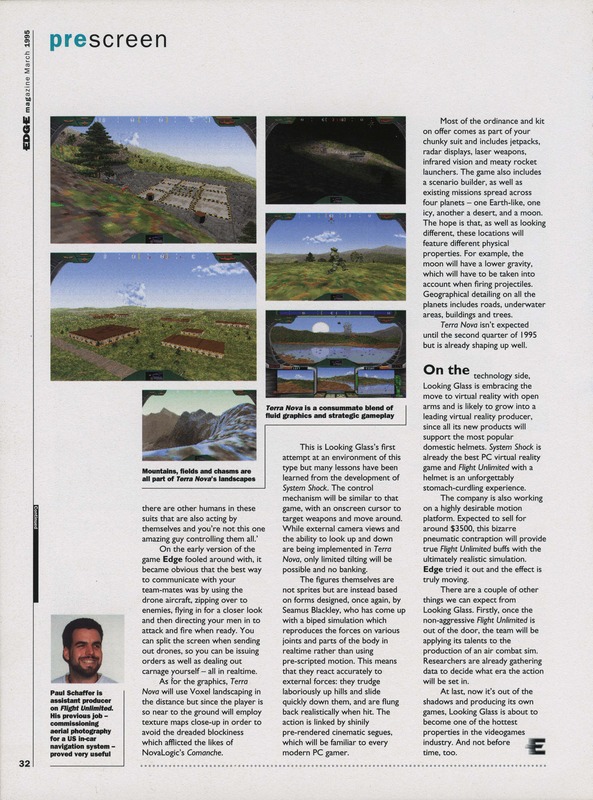 I hadn’t realised that it used a combined Voxel/Polygon approach for the landscape but it does explain how they were able to render such a bumpy world on early systems. The joins between the two technologies are not apparent at all when playing the game. 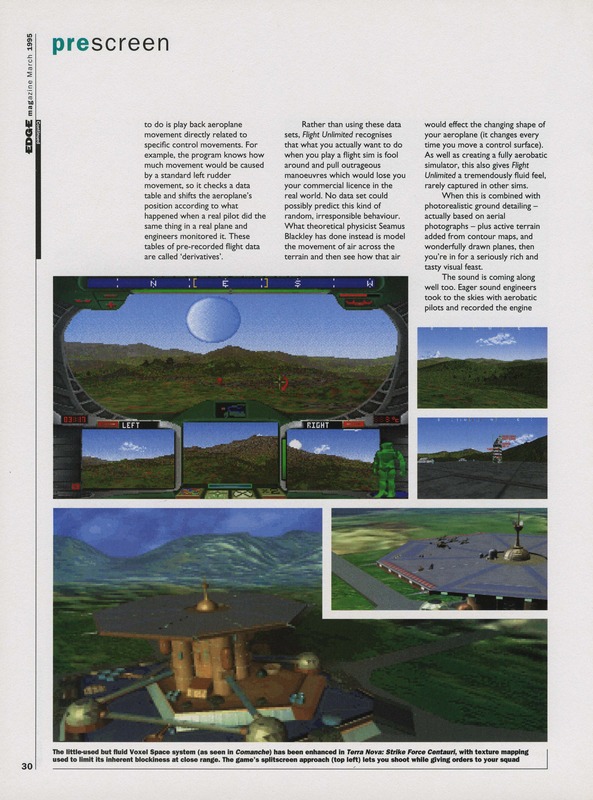 This entry was posted in Magazine Scans, Origin Related, Terra Nova by Pix. Bookmark the permalink.